Spin bowler Akila Dananjaya will have his bowling action reassess at the Center for Sports Science (CSS) of the Sri Ramachandra Institute of Higher Education and Research in Chennai as Sri Lanka look yo fast track his return to the international fold. 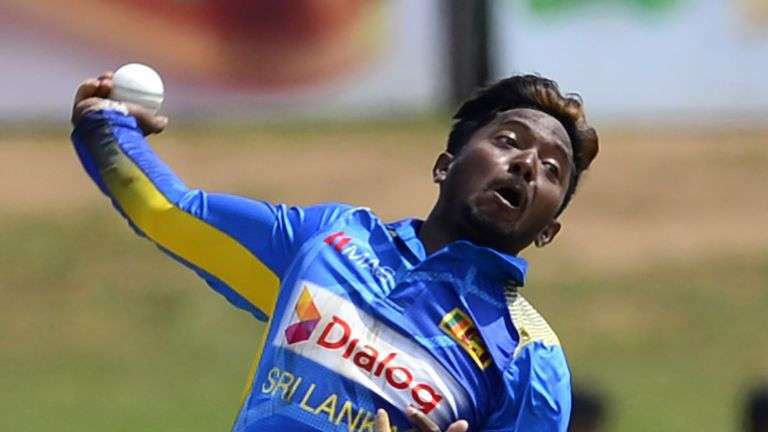 "Spinner Akila Dananjaya will fly to Chennai, India tomorrow morning (February 1, 2019) to reassess his bowling action,"Sri Lanka Cricket confirmed in a statement. He will be accompanied by spin bowling coach Piyal Wijetunge. Dananjaya was reported for a suspect action during England's tour of Sri Lanka late last year and was officially banned from bowling in international cricket in December, after an independent biomechanics assessment found that he was flexing his arm beyond the allowed 15-degree limit. Since then Dananjaya has been working tireless to remodel his action. Dananjaya has been one of Sri Lanka's strike bowler in limited-overs cricket in recent times, taking 28 ODI wickets at an average of 23 from 16 matches in 2018. He has also taken 27 wickets at 24.25 in Tests.